Tackling tax time as a self-employed optometrist can feel intimidating. Even with proper optometry bookkeeping practices all year-long, you may become overwhelmed as tax day nears. But April 15th doesn’t have to be the stress-inducing event that it’s made out to be, and with a little preparation and some know-how, you can minimize your clinic’s tax liability and keep your hard-earned profits in your pocket. When it comes to filing taxes, nothing can add to your stress and affect your bottom line like procrastination. If you wait until late in the filing season, you give yourself a limited amount of time to explore your filing options, and you may miss out on the opportunity to save. As a result, your returns may suffer. It’s best to remain prepared and organized throughout the year, so you are ready when it comes time to file. Expert optometry accounting services, like those offered by Caro & Associates, can help keep you organized throughout the financial year, so you are properly prepared for the upcoming tax season. Once you have collected all your tax information for the year, it is best to get it to your preparer as soon as possible so they can begin to work on it before the April 15th deadline. This will allow your preparer adequate time to find ways to save you end of year money like charitable donations or adding to your IRA account and request additional documentation where necessary. After the new Tax Cuts and Jobs Act of 2017 was signed into effect, many optometrists considered changing their tax filing election. If your clinic qualifies, you could stand to profit from changing your tax filing election. The act contains many AOA-supported provisions that are small-business-friendly, particularly for optometric practices, which can qualify for a deduction of up to 20% on pass-through income. This deduction applies to single filers who report an annual income of under $207,500 and married filers with an annual income of less than $415,00. Most commonly, optometric clinics file as either sole proprietorships or S corporations. Both types of ownership are considered pass-throughs. This means their individual tax returns flow down from the income of the practice itself. However, S corporations offer a greater opportunity to save on taxes than sole proprietorships. This is because, like sole proprietorships and partnerships, the income flows to the practice owner. But unlike the others, S corporations also allow for the optometrist to be paid a salary. While this salary is subject to payroll taxes, the income in excess of the salary is not, and an optometrist with a net income of $110,000 would stand to save around $5,355 by changing from a sole proprietorship to an S corporation. While many experts argue over the advantages and disadvantages of leasing equipment, from a tax perspective, leasing can be conducive to savings. When you purchase equipment for your clinic, you are required to pay both the interest and the principal on that purchase. Of these, only the interest is deductible, because the principal is considered a repayment. On the other hand, if you lease the same equipment, the full amount of your lease payment is deductible for the year that it is paid, giving you greater returns. 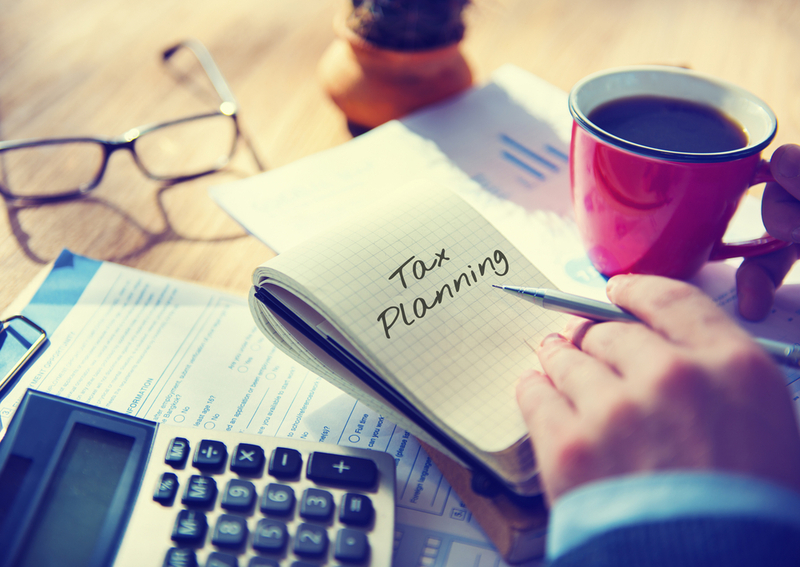 Take the time to consider your tax options and find the right filing plan for your clinic. The expert tax preparers at Caro & Associates can help you maximize your potential to save during tax season and preserve your financial independence for years to come.